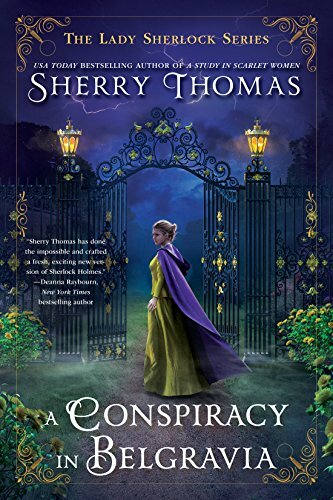 September 5th feels a long way off yet, but I was so delighted to get a peek today at the beautiful cover for Sherry Thomas' second Lady Sherlock novel—A Conspiracy in Belgravia. You know how much I enjoyed A Study in Scarlet Women, so I'm sure you won't be surprised when I say that the moment I read that this second installment involves one Lady Ingram, my mind fairly exploded with anxiety and anticipation. I just . . . how will it ever work out? I ask you! If you're suffering in similar anticipation, feel free to share. I'll just be sitting here fretting.